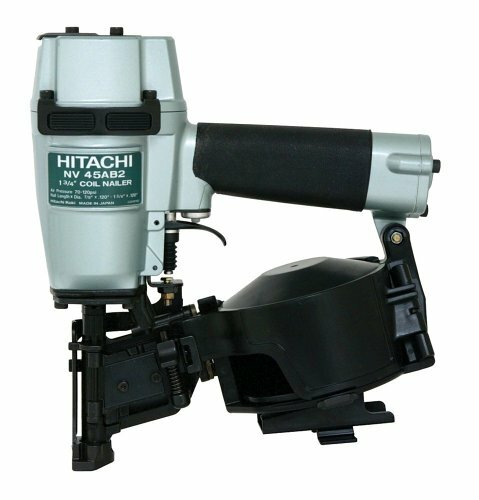 Lightweight and durable, the Factory Reconditioned Hitachi NV45AB2R 1-3/4-Inch Coil Roofing Nailer stands up to the elements and provides consistently accurate results over the life of the tool. An ideal tool for a variety of construction projects, including installation of asphalt roofing shingles and insulation boards, the NV45AB2 features a high-capacity side-load magazine, depth of drive, durable construction, and more. The Hitachi NV45AB2 1-3/4-Inch Coil Roofing Mailer is the epitome of power and durability. Hitachi's pneumatic feed and return ensures consistent feeding even in the harshest conditions. The carbide tipped push lever prevents wear while the rubber pads (on the body of the tool) prevent it from slipping. With a rubber grip for comfort and tool-less depth of drive, the NV45AB2 is the whole package. The Hitachi NV45AB2 1-3/4-Inch Coil Roofing Mailer comes with a 1-Year manufacturers warranty. 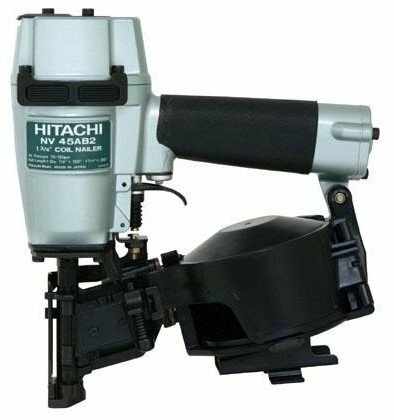 Hitachi Power Tools provides professional-grade power tools for a variety of applications, including woodwork, metalwork, concrete, drilling, cutting and fastening. Since its inception, Hitachi has pioneered innovative technologies that have improved the quality of craftsmanship worldwide. Hitachi is a leader in power tool research and development and has achieved many firsts in the power tool industry. Today, Hitachi continues the tradition of innovation and engineering with new features in addition to classic quality. 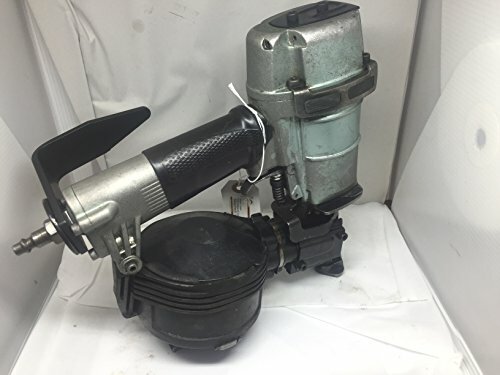 2750-5650 Features: -Rapid driving and quick response with cylinder valve firing mechanism. -Convenient top loading magazine. -Adjustable shingle guide for USA and Canada. -Tool-less depth adjustment. Type of Nailer: -Roofing Nailers. 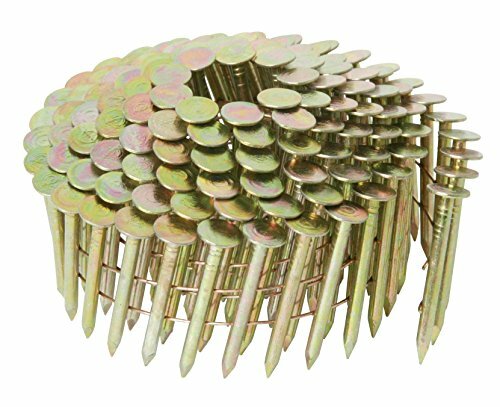 Type of Fastener: -Nail Coils. 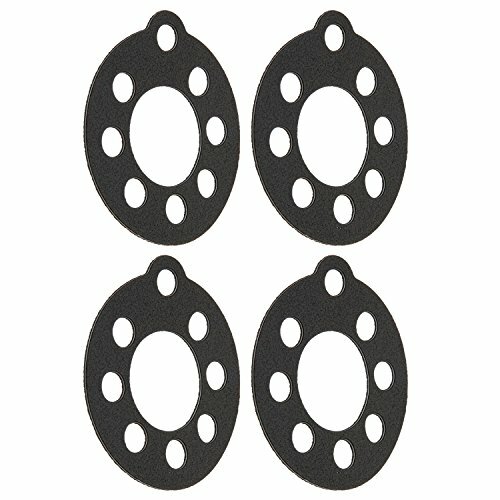 Fastener Size Range: -1.25" - 2.5". 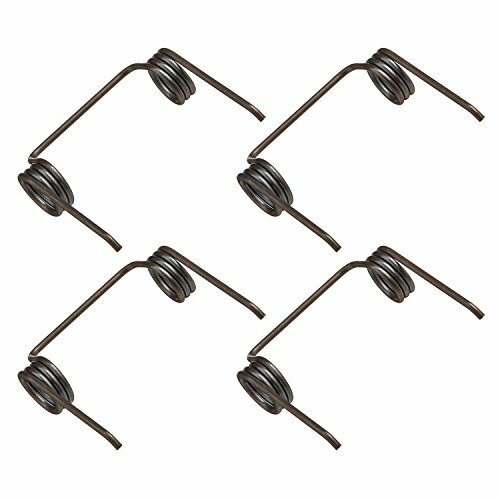 Generic Dimensions: -Uses angled coil wire collation and 0.413'' head diameter round head roofing nail, 0.120'' shank diameter and 7/8'' to 1-3/4'' in length. Dimensions: Overall Height - Top to Bottom: -13 Inches. Overall Width - Side to Side: -13.4 Inches. Overall Product Weight: -6.6 Pounds. 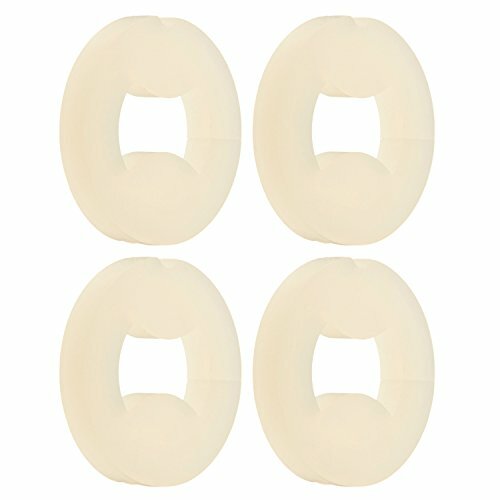 Compare prices on Hitachi Nv45ab2 Roofing at ShopPlanetUp.com – use promo codes and coupons for best offers and deals. We work hard to get you amazing deals and collect all available offers online and represent it in one place for the customers. Now our visitors can leverage benefits of big brands and heavy discounts available for that day and for famous brands.